Satellite trackers allowed researchers to follow juvenile loggerhead turtles on their perilous journey across the Atlantic Ocean. Two physics professors debate the benefits of manned and unmanned space missions. Student veterans build a community of support. Education Reform: Do the Florida Standards Benefit Our Children? 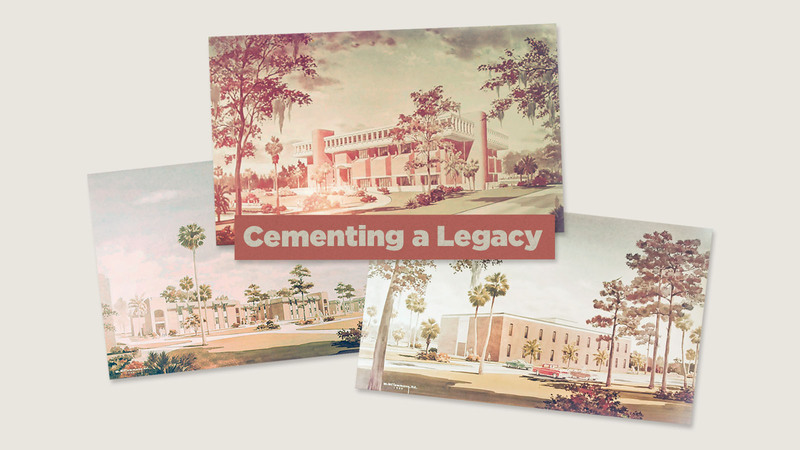 In the spring of 1967, the UCF campus was a construction site. My father, Frederick Owles, was one of the architects assigned to design the first buildings for the newly named Florida Technological University (FTU). Dad was up for the challenge. 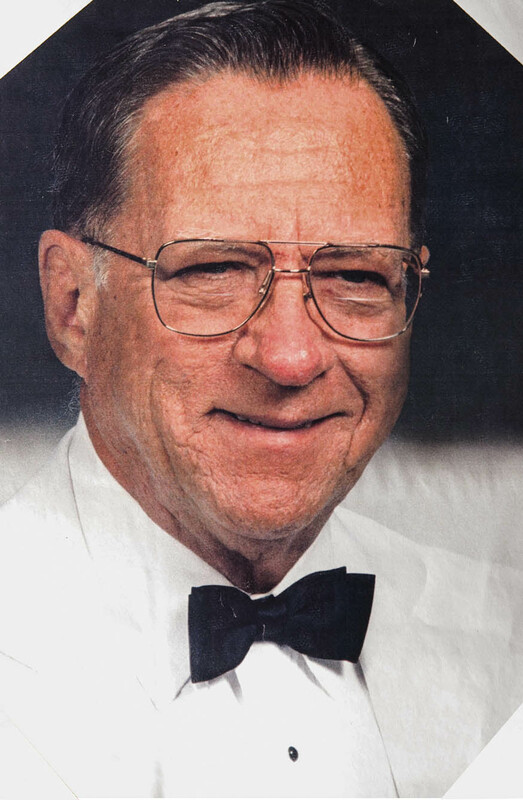 He was the former mid-Florida chapter president of the American Institute of Architects and had already built several Orlando-based landmarks after graduating from the University of Florida. He owned a firm in College Park and was hired by the Florida Board of Regents to join a collective of designers that would build the new university. His first project for FTU was the all-important library. Ground was broken during a ceremony in March, and in the weeks to follow heavy equipment began clearing the tall pines, cabbage palms and other trees that grew on the land. My dad would make regular visits to the site to inspect the contractors’ progress, and often he would bring me and my brother, Ted, along in his red Oldsmobile Cutlass Supreme convertible. For a 5-year-old girl, the site was a playground. Under his watchful eye — and his spare silver hard hat that never fit just right — I would climb to the top of each giant pyramid of sand and dirt and build castles in the dark earth for Barbie, who was my constant companion. I’d return home from these outings with my lacy white socks turned black, which drove my mother crazy. The completed library opened in July 1968, and I’m proud to say that it remains one of the most iconic and popular places on campus. Over the years UCF kept my father very busy. He contributed designs for classroom buildings, residence halls and Millican Hall, which was his favorite building at UCF. Nearly 50 years later he developed Alzheimer’s disease. On days when he was clear-minded, I would drive him around and point out the dozens of offices, condominiums, youth centers and churches he designed during his productive career. He especially enjoyed the trips through downtown Orlando because he couldn’t believe it had developed such a skyline. I think that’s one of the unique and wonderful advantages of being an architect. If you did your work right, you can look at it for decades. You can watch your work age and endure as surrounding neighborhoods change. One day I said, “Dad, what you’re really going to love is a visit to UCF.” It had been 10 or 15 years since he had seen the university. We followed Gemini Boulevard around the campus, and he was amazed at how much UCF had grown. He was so proud. When we passed Bright House Networks Stadium, his pride turned to awe. We used to go to football games at the Citrus Bowl, so when he saw the new stadium he became overwhelmed. I saw him brush a tear from his eye, trying to hide his emotion. I know my dad was honored to have been a part of something that started out very small and developed into something so impressive. He passed away in 2010. And to me, the buildings that my dad designed at UCF remain timeless. Alyson Owles has established a planned gift to honor her parents that will create two endowed scholarships — one in the College of Arts and Humanities and one in the College of Sciences. They will be named the Fred G. Owles Jr. AIA Endowed Scholarship in Architecture and the Fae B. Owles Endowed Scholarship in Political Science.